Finally, we made it to Jeju! Yes, after two years in Korea, we decided to see what the ruckus was all about. Much to our pleasant surprise, Jeju exceeded our expectations by a large margin! 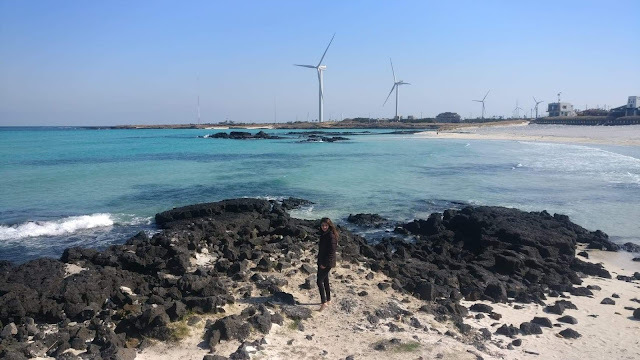 A bit about Jeju. Well, for one, its an island that lies south of the mainland, in the Korea Strait. 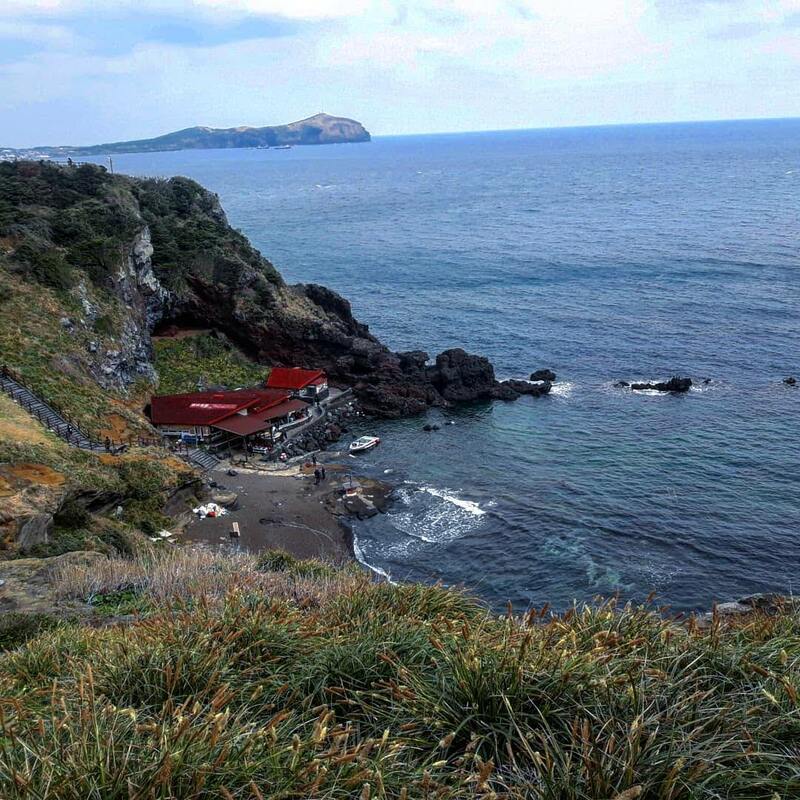 It is a volcanic island, which contains a number of natural World Heritage Sites, and some interesting landmarks. Many of these sites are free to visit, or have entrance fees as low as $2. The only sights with higher fees are indoor theme parks, many of those which can be avoided since they don't offer anything that Seoul can't. There are a few ways to get around in Jeju. The best would be by car, but only if you get a cheap car rental $10/day) and can easily access a licence. If not (which was the case with us), you can very easily get around by bus. In many forums, you'll read that its impossible to see more than 2 sights each day, but that is entirely incorrect. We were able to see 4-6 sights each day, and could probably fit in more. The caveat however is to be somewhat savvy in Kakao or Naver Maps to keep abreast of buses and timings. Second, always make sure you read the timetables at each stop, so that you know how much time you have in a particular destination until the next bus arrives. Not every timetable is available on Kakao and Naver, so you have to go old-fashioned. Since we are fairly handy on buses, this was a non-issue for us and we are able to take $1 buses to sight see the entire island. Without much further ado, here's a lowdown on our five day itinerary with the buses to get you there. We arrived late in the city in the evening and spent the night at Yeha Goodstay Hotel. We had a separate room to ourselves (its mainly a hostel), but the stay was delightful! The place had character, and there's a downstairs lounge with lots of board games and reading material as well as a community kitchen (where you can help yourself to free breakfast the following day). If you're staying just a night in the city, this should be your bet. A bus goes directly from here to the guesthouse. To top it off, this place is right next to the Bus Terminal so you can pretty much get to anywhere from here. We left around 10 am and took the coastal 201 bus to Gimyeong Beach. You could also decide to see the Hamdeok beach instead, but we decided on Gimnyeong due to its proximity to some of the other sites inland. 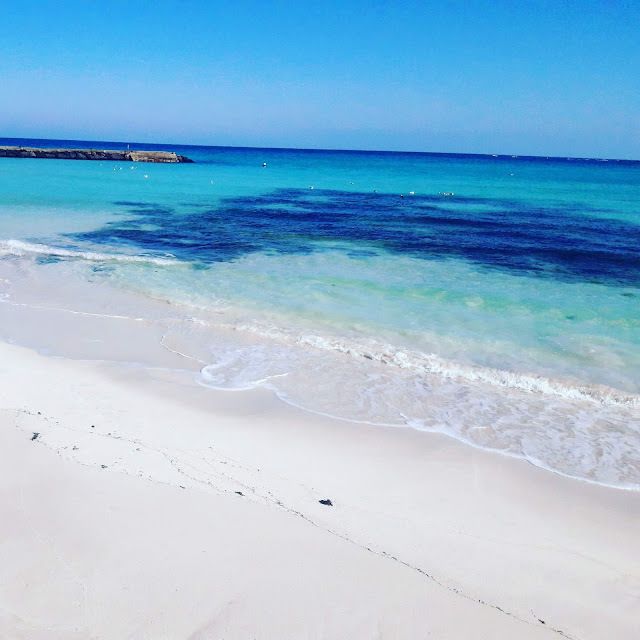 Both however, are similar in being strikingly beautiful, with clear blue water and yellow sand. I would add that Gimnyeong beach tends to also be less crowded than Hamdeok beach. This area is known to be good for catching striped beakfish and spotty belly greenlings. There, we spend a few hours, rested in a cafe, and then caught the next bus inland to Gimnyoung Maze. The bus 711-1 goes from the beach to the Maze Park (10 minutes) or you can take a taxi ($4). The maze was funded by an American Professor at Jeju National University, Frederic H. Dustin, who loved Jeju. The maze park contains plants from all over Asia. The maze is lots of fun and will take around 30 minutes to an hour to explore, but there are also skywalks and lots of photo opps. Once you're done with the maze, you can head over to Manjanggul cave, which are a mere ten minute walk. The cave is part of a larger network of caves that are regarded as a UNESCO world heritage site since 2007. Personally, I did not find the cave sight to be amazing. It's very dark so you can hardly see much, and its also very wet and cold. I would recommend it in the heat though. At the caves, we had some lunch and then took the same bus 711-1 to Bijarim Forest. Bijarim means nutmeg and the forest consists of about 2,800 nutmeg trees that are between 500 and 800 years old. This is the largest nutmeg tree forest in the world. 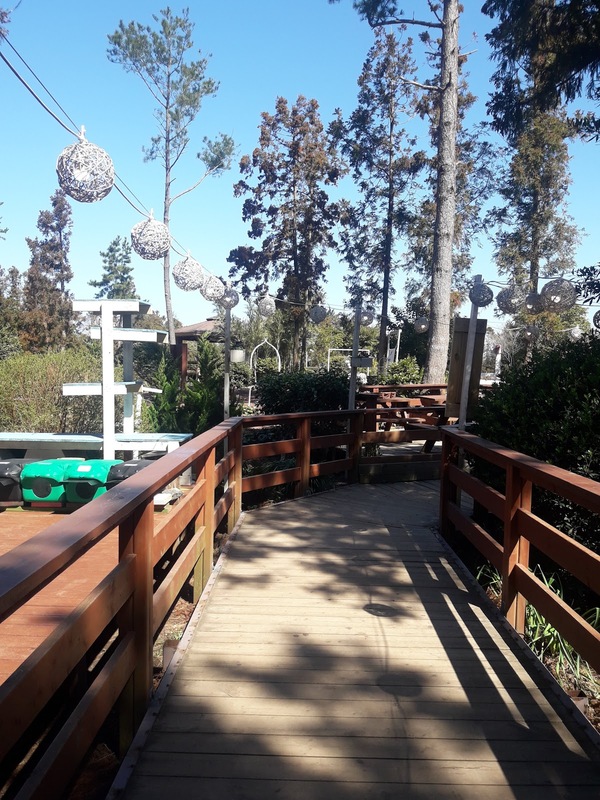 There is a nice walkway through the forest that has been installed for visitors to enjoy a stroll through the wonderful forest. Once we were done with Bijarim, we took the bus to Seongsan. This required taking two buses with a transfer but the buses run as often as ten minutes and as seldom as twenty minutes. Our wait time was 15 minutes, which certainly won't set you back by a lot. Still, we made it to Seongsan in 1 hour. There, we stayed at Golden Tulip Hotel. The hotel is a four star hotel, with a great bathroom and modern bt basic interiors. The staff was extremely kind, so on that end, we have no complaints, plus the price was quite low for a 4 star hotel. That being said, I'd prefer to stay in a pension, since this hotel lacked any character and the rooms were small. We did not get any view as such, and there's no lounge to enjoy yourself. When we went, the pool wasn't working either. Since we arrived in the evening around sunset, we had dinner at Playce Camp, a really nice food court and then explored the canola fields below Seongsan Ilchulbang, the sight we left for the next day. We began our day quite early and walked over to the Seongsan Ilchulbong Peak. This is a peak that was a result of a volcanic eruption over 100,000 years ago. There is a huge crater at the top of the peak and many sharp rocks surrounding the crater that make it look like a crown. After you enter, there is a bit of a climb. Most of the ascent is through stairs so make sure to bring water, and try to do this before it gets too hot. It takes around 30 to 40 minutes to climb with rests. Along the way, there is also the option of horse riding on the meadows. Although we went earlier, we still missed the sunrise which was around 4:30-5:00 am. However, if you are more adventurous, you can go earlier and see the sunrise from the crater. From here, you can also see the haenyo or women's divers. This is unique to Jeju Island, where there is a community of older women, some aged in their 80s, which go diving under the sea to gather seafood for a living without the help of oxygen masks. With knowledge of the sea, these divers harvest for up to seven hours a day, 90 days of the year holding their breath for just one minute for every dive and making a unique verbal sound when resurfacing. Before a dive, divers pray to the goddess of the sea for safety and an abundant catch. 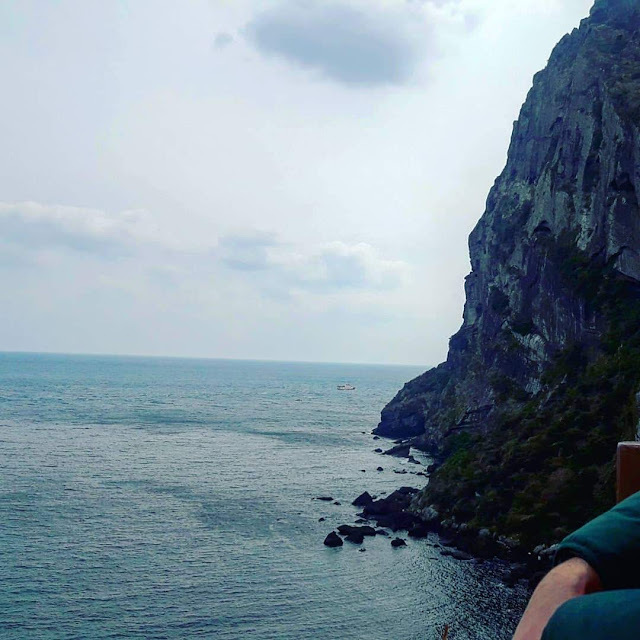 Along the side of Seongsan, you also get to see some beautiful cliffs overlooking the ocean, which makes for excellent time to relax and meditate, which is exactly what we did. 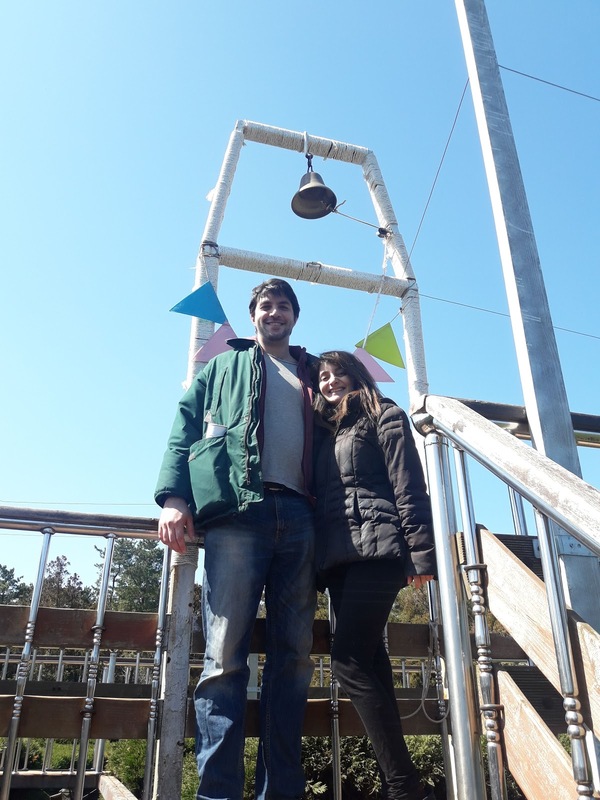 From Seongsan Ilchulbang, we went to Seopjikoji, which you can access through bus (10 minutes) or taxi (5 minutes). If you go by bus, you'd need to walk for around 15 minutes to get to the edge of the cliff. It's a pleasant walk, but there are no cafes or restaurants here. Instead, you walk along the island edge through canola fields that overlook the shores. Right next to the island where the Seopjikoji rests is the Hanwha aquarium, one of the largest in East Asia. It has more than 5000 ocean animals from Korea and abroad and here too, you can see the female divers in action. From the east coast, we went South to Jungmun area where we stayed in a delightful pension called Hera Castle. I highly recommend it, and as you will see from Booking.com, hundred of other people agree with me. 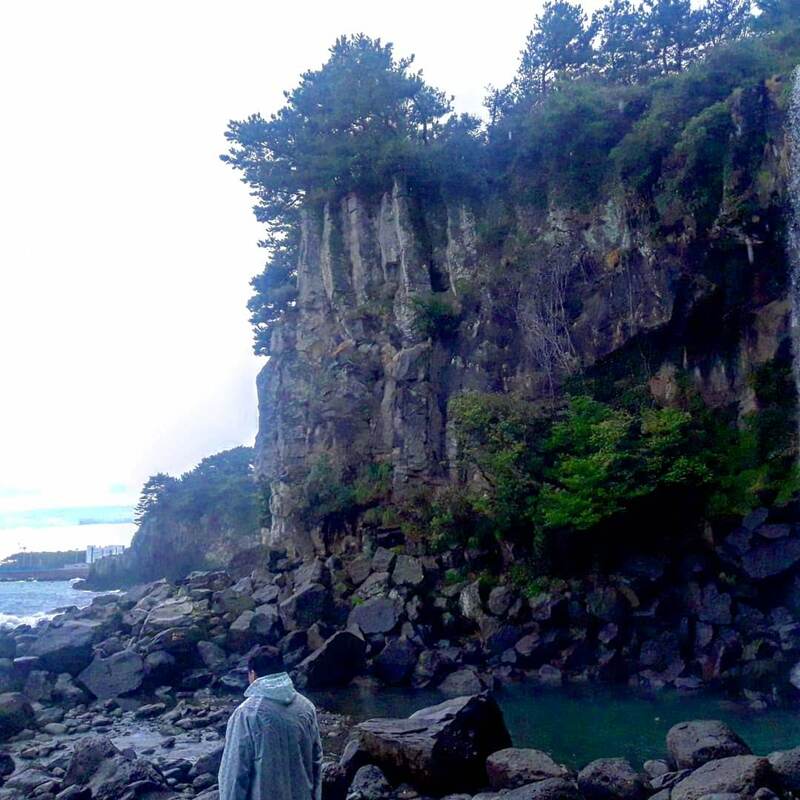 The last day was spend enjoying beach and waterfalls in the southern part of Jeju. The next day, we first explored Cheonjeyeon waterfalls which were right next to our pension. Cheonjeyeon Falls, means "The Pond of God," and consists of 3 sections. 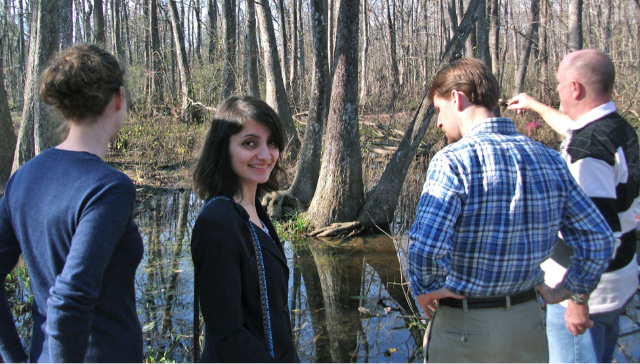 Around the falls, a variety of plant life thrives, such as the rare ‘solimnan’ reeds. To the east, there is a cave where cold water pours from the ceiling to create the first waterfall. The water gathers into a pool and from there, falls two more times, creating the second and third waterfalls, which then flow into the sea. From there, we went to Jungmun beach which personally wasn't my favourite beach. It is very nice but a little more inaccessible by bus or walking. There are resorts all around it, and very few Korean restaurants to enjoy seafood. We were really hungry so we ate at the Cliff, a very nice Italian/American pub overlooking the beach, but there was no seafood on the menu. 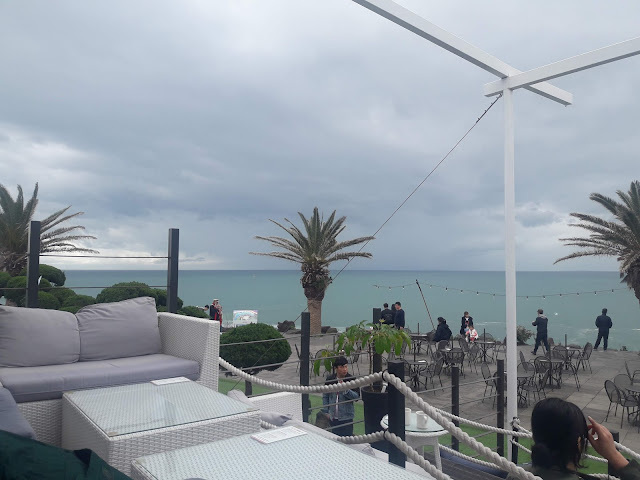 If you want to eat with a view, Seogwipo is better (will explain more later). After lazing on the sofas next to the beach, we spent some time walking along the shore until we arrived at Jusangjeolli Cliff. These vertical cliffs are black rock pillars shaped either rectangular or hexagonal and are formed by lava! After looking at kakaomap, we headed to the bus stop right near the beach. Its not so much as a bus stop as it is a sign (thats it). We stood there for around ten minutes and luckily got the 510 bus to to Seogwipo, which goes along the coast from Jungmun to Seogwipo and back. On the way, we passed by a number of theme parks like the Ripley's Believe it or Not Museum, Chocolate Land and others, but skipped those because you can see them elsewhere, and really, Jeju is about nature, not about indoor parks. Walking downhill from the main bus stop towards the sea the Cheonjiyeon waterfall is to the right, tucked round a bend where the stream meets the harbor. The Jeongbang waterfall is to the left after passing the food street. 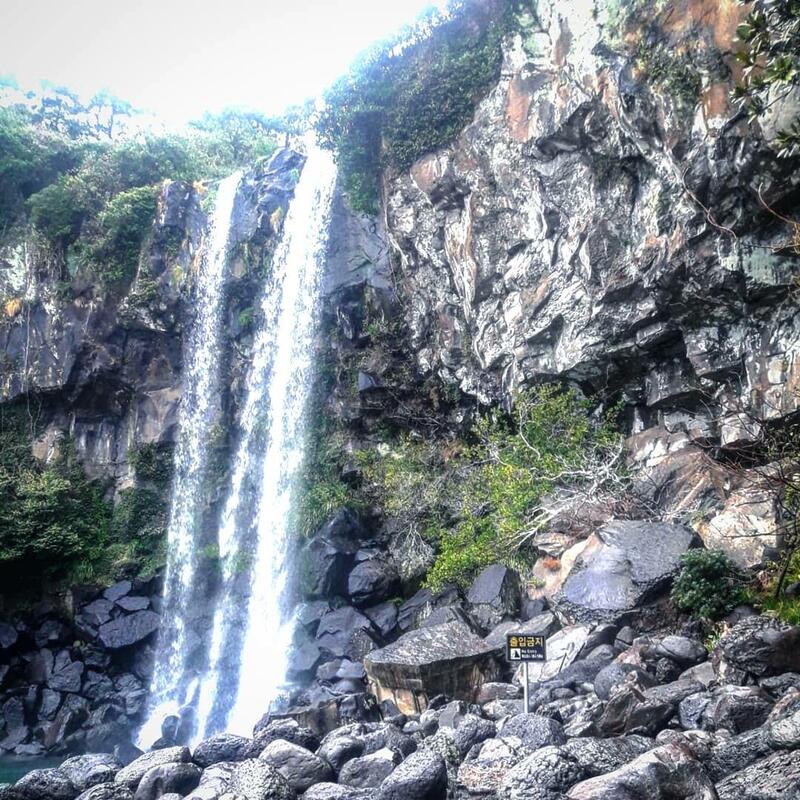 Jeongbang Waterfall is the only waterfall in Asia to fall directly into the ocean so I was excited to check it out. Needless to say, it was a nice afternoon exploring Seogwipo and seeing what all the hype is about. After the waterfalls, we headed back to Jungmun, where we enjoyed a nice seafood dinner, and got ready to sleep after a long day. The next morning, we took an early morning bus to the airport (bus 600 goes directly there and takens 30 minutes in the morning since Jeju is blessed with much less traffic than the rest of Korea). Other forests besides Bijarim since nutmeg trees aren't the prettiest. And that's pretty much how our three days in Jeju concluded!